Family owned and operated, we perform all levels of building and remodeling. We offer start-to-finish solutions for your project. We specialize in exterior home renovations, including Hardi-plank siding, window and door renovations, soffit and fascia installation. We guarantee high-quality construction for each and every project. Check out samples of our recent work,and you'll agree that we're the best choice for your home renovation project. WoodCraft Doors & Mouldings Ltd. is the result of French training, schooling from all across Europe, traditions set by three generations of Tunisian wood carvers, and projects carried out by expert woodcrafters and installers. We make doors for clients across North America, and all our products are manufactured in our facility in Edmonton, Alberta. Wood Craft Kitchen & Doors is a Canadian company based in Edmonton, Alberta, Canada that specializes in high quality luxury solid wood, interior and exterior doors. Being in Alberta having some of the driest winters ever, would make any improperly manufactured solid wood door break, move and crack. Our proprietary method of constructing luxury, high end doors for both interior and exterior allows us to create all weather doors that can withstand the toughest and driest conditions. We take care in designing and manufacturing process and hand carve doors, giving you a unique experience whenever you come in front of our doors. Fancy Doors and Mouldings Ltd. Fancy Doors and Mouldings is a Canadian owned and operated supplier of top quality finishing materials, serving in the city of Edmonton and surrounding area. We carry a wide selection of interior and exterior finishing materials. Doors, moulding, railings and hardware to fill any size of a project. At Fancy Doors we also have a world-class Metal Doors shop for all your commercial fire rated door needs. We commit to the environmental stewardship and excellence of Canada and take pride in protecting our country’s natural resources with the latest eco-friendly technologies. Come visit our showroom for your next project. From a small house reno to the largest new home construction project. Visit our website to learn more. QualiGlass Windows & Doors Ltd. began as an Edmonton based window manufacturing company in 1992 with a modest product line of aluminum, wood and metal-clad windows. As our reputation grew our product lines followed to include PVC windows and entrance doors. Since then QualiGlass has been focusing on energy-efficient vinyl window products. We are committed to incorporate the latest developments in technology and cost-effective manufacturing so our customers can benefit from the highest quality windows and doors for the lowest price. 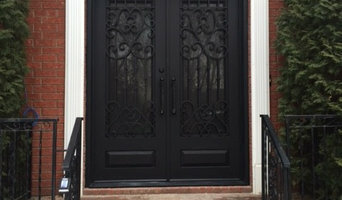 We offer wrought iron entry and wine cellar doors. They have rectangular, eyebrow or arch shapes with either 2X4 or 2X6 jambs. Sidelights and transoms can either be integrated in the frame or a separate window. The doors are available in painted and powder coated finishes. Ronco Doors has been providing our product, to homes new and old and province wide for over 25 years. Established on the west end of Edmonton in June of 1985, Ronco has rolled with the times, and has set the standard for our industry. From closet doors, to closet organizers, Ronco can customize to fit your needs and closet sizes. With experienced installers, we can also provide medicine cabinets, wall mirrors, and Ronco’s own line of custom manufactured “Candoor” shower doors. Classic is a Canadian company founded in 1985 and located in Edmonton, Alberta, Canada. Classic provides a wide variety of quality products and services to the construction industry and homeowners. Yogi's Locksmith & Auto Repair offers Edmonton's finest locksmith service. Anything from key replacement, lock repairs and installations, security systems and more! We offer 24/7 commercial, residential and automotive locksmith service. Call us anytime for a free quote: 780-628-7600. We will have one of our fully-licensed technicians at your door within 30 min! 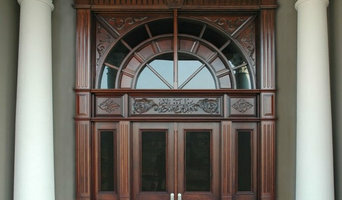 Canadian, high-quality, custom interior door manufacturer. Specializing in interior & exterior home finishing products including doors, mouldings, flooring, and exotic hardwoods in Edmonton. Locksmith Downtown Edmonton services offering 24 hours emergency service for, residential, commercial and auto Services - Bonded and Insured. Our 24/7 Locksmith Services. If you need emergency service, you can call us anytime, 24 hours a day, 7 days a week. If you don't need emergency locksmith service, you can give us a call to set up an appointment, so we can help you with your residential locksmith needs at your convenience. 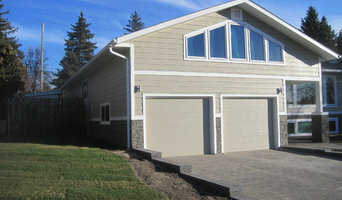 Find an Edmonton, AB door professional on Houzz. Scroll through this page to find door professionals in your area. Look at project photos and read reviews to find out how homeowners rate their service, expertise and product.